The Toyota Hilux is a light commercial vehicle range that was launched in 1968 by the Japanese manufacturer. Currently on its eighth generation, the range is available in both pickup truck or chassis cab variants. With a reputation for reliability, this long standing range combines workday practicality with family lifestyle, so you can have the best of both worlds. The models strong presence helps it to stand out in its class, while the tough exterior design appeals to those looking for a strong vehicle. Also, the model offers an interior styling similar to that of the Toyota Auris, which in itself is favoured by buyers in the market. Available with an array of petrol and diesel engines, all offered with different power outputs. The 2.4 litre and 2.8 litre diesel engine deliver accurate steering, decent refinement and a powerful performance. In all, the Toyota Hilux is an efficient range that offers tough styling, strong diesel engines, work practicality and family enjoyment. 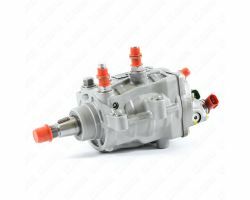 Diesel Fuel Pumps for all Toyota, We ship Diesel Pumps worldwide, Use our parts exchange service to save £100s send us your broken Toyota Diesel Fuel Pump and we will send you a repaired diesel pump, All repairs are to the diesel fuel pump manufacturers factory standards.